These days, they blend their voices as flawlessly as only two people who share their lives can. But local Americana-folk duo Hope & Tim Glenn didn’t achieve musical (or romantic) harmony overnight. Hope draws a lot of inspiration from old soul and gospel music, and Tim is influenced by Josh Ritter, Neil Young and James Taylor and other singer-songwriters and troubadours. And the stylistic blending that “we just kind of assumed would be automatic,” Hope says, actually took some finessing. Eventually, though, they were able to take on the music-making roles that best suited their talents, and found a sound that showcases Hope’s powerful, soulful voice as well as Tim’s lyrics and picking. Tim is the main songwriter, while Hope creates the melodies and is involved in the editing process. “It works really well because I can sort of mold a statue, and then Hope can put in the details and make it a lot better,” Tim says. 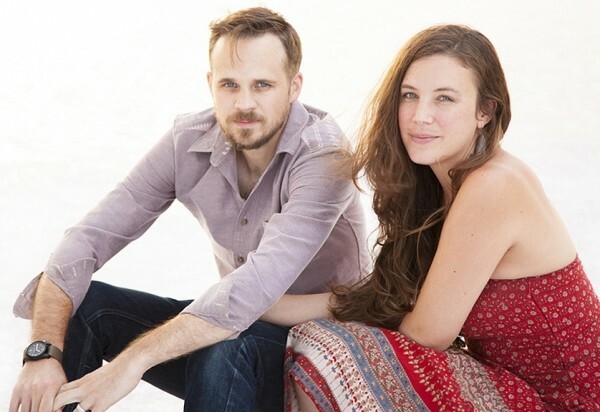 But the most magical moments on Hope & Tim Glenn’s latest full-length album, We Are the Choral Copse—released in September 2013—seem to happen when the two musicians don’t try to plan every little detail of a song, and instead set aside expectations and go with the musical flow. The entire album is stunningly lovely, warm and heartfelt—“Old John” is hauntingly beautiful, almost hymn-like—but the song “A Man of Parts” stands out in particular.